Microsoft USA partnered with a local company Africa Infrastructure Development Group (Africa-IDG) in a strategic move to create cutting edge blockchain applications that are set to revolutionize the build environment. Various meetings with key government and private sector stakeholders have already been conducted and the outcomes have been positive. 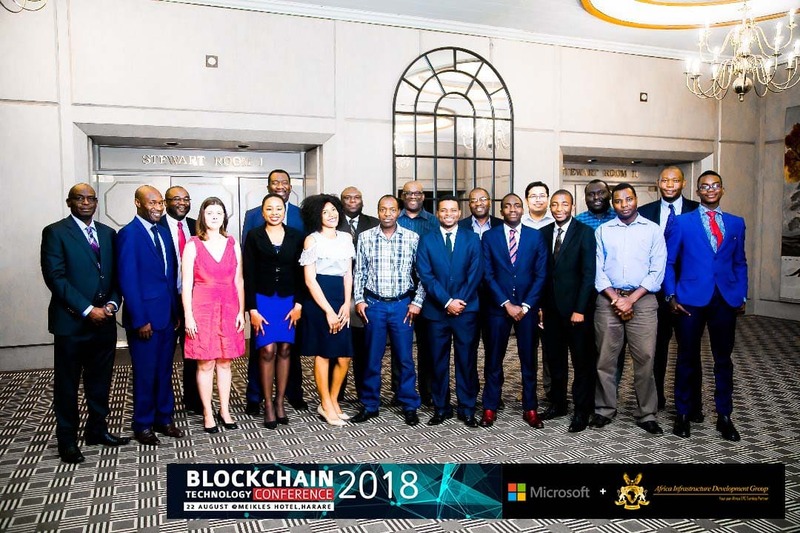 Africa-IDG’s Head of Communications Mr. Brighton Ngarava said, ‘The blockchain movement is one that we must join in its early phase if we are to be relevant as a country not only internally but both regionally and internationally, the response we have received from the key stakeholders is a sign that we are ready to implement this technology in the built environment’. Microsoft USA sent in Sweden based Global Black belt Blockchain Engineer Dr. Abdul Haseeb to work with Africa-IDG’s Development Team. “Together we have come up with compelling and relevant solutions to real time problems in the Zimbabwe ICT sector”, said the Chief Technology Officer of Africa-IDG Mr. Dakarai Mshoperi. “The blockchain is an undeniably ingenious invention, Zimbabwean stakeholders have to join the wave or risk getting crushed by it”, remarked Tatenda Chifamba the Founder and CEO of Africa-IDG’s. Blockchain Technology is the brainchild of a person or group of people known by the pseudonym, Satoshi Nakamoto. But since then, it has evolved into something greater, and the main question every single person is asking is: What is Blockchain? By allowing digital information to be distributed but not copied, blockchain technology created the backbone of a new type of internet. Originally devised for the digital currency, Bitcoin, the tech community is now finding other potential uses for the technology. According to Don & Alex Tapscott, the authors Blockchain Revolution (2016) “The blockchain is an incorruptible digital ledger of economic transactions that can be programmed to record not just financial transactions but virtually everything of value”. This technology has been received as a huge step in containing the world wide scourge of corruption and has already been adopted as a technology for the future in many European Union member states. The Head of Microsoft Zimbabwe, Benlawr Ruredzo and the Africa-IDG Team will continue to work together in bring success relevant discussions to key stakeholders by creating platforms for dialogue. Microsoft USA and Africa-IDG are set to host another event on blockchain inn the last quarter of 2018 which will continue the discussion around the key development areas of blockchain. Amongst other key stakeholders present was Jonathan Fennell, who is heading the Government Blockchain Association’s (GBA) chapter in Zimbabwe. Jonathan is also the founder of Genesis Block Africa (also GBA) a firm which partners with public and private sectors, consulting, sourcing, supplying and managing a full range of Distributed Ledger Technology (DLT) solutions.